Researcher Aderonke A. Akinkugbe from the University of North Carolina at Chapel Hill has presented new findings to the 93rd General Session and Exhibition of the International Association for Dental Research. Her study has established new evidence of a link between exposure to environmental tobacco smoke and periodontitis in US non-smokers, although it is difficult to definitively prove. This is due to the impossibility of accurately measuring levels of exposure to secondhand smoke. The disease affects around 47 per cent of US adults, and smoking has long been named as a risk factor. 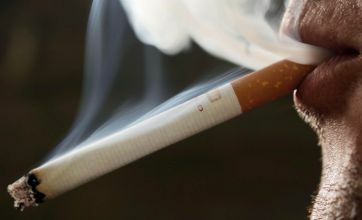 The research was based on data from 3,255 self-reported lifetime non-smokers, who had a dental examination and gave a blood sample. Serum cotinine, a derivative of nicotine, was used as a measure of the extent of smoke exposure. If more than 3ng/ml of the substance were found in the blood, the participants were excluded on the grounds that they may have been smokers, or used tobacco products in other ways (such as taking snuff). The remaining participants’ results were then fully adjusted for age, gender, ethnicity, diabetes, income and education. A total of 57.4 per cent of the participants had serum cotinine levels between this upper limit and 0.015ng. After the fully-adjusted analysis, non-smokers exposed to environmental tobacco smoke were found to be 1.45 times more likely to develop moderate to severe periodontitis than non-smokers who had not been exposed to secondhand smoke. This represents a significant correlation. For the purposes of the study, this was defined as either at least two interproximal sites with attachment loss of 4mm or more, or a minimum of interproximal sites with probing pocket depth of 5mm or more. The study “Environmental Tobacco Smoke is Associated With Periodontitis in US Non-smokers” was presented on March 13th at the event in Boston.